In the latest look at stocks ordered by largest market capitalization, Russell 3000 component Southern Copper Corp was identified as having a larger market cap than the smaller end of the S&P 500, for example Intercontinental Exchange Inc , according to The Online Investor. Market capitalization is an important data point for investors to keep an eye on, for various reasons. From plunging copper prices to delayed UPS shipments, Tuesday had all sorts of fun things for investors to digest. Now we just need some more concern. Copper futures are surging to new highs for the move up. Good signs for it and Freeport McMoRan. 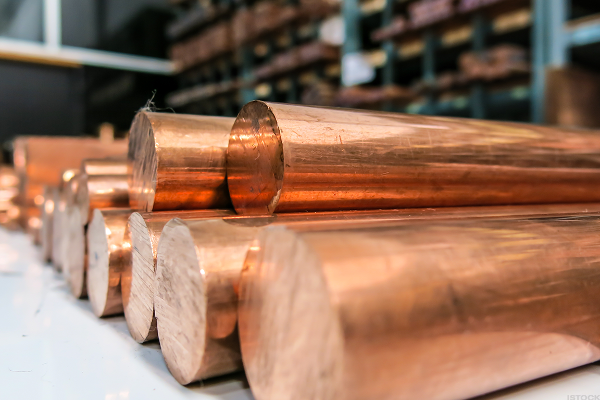 Is Dr. Copper Signaling a Recession That Could Pound Stocks? Copper is still OK, but a further breakdown would not be good. This one didn't work out like we hoped. The most recent short interest data has been released for the 05/15/2017 settlement date, which shows a 785,059 share decrease in total short interest for Southern Copper Corp , to 6,681,878, a decrease of 10.51% since 04/28/2017. Total short interest is just one way to look at short data; another metric that we here at Dividend Channel find particularly useful is the "days to cover" metric because it considers both the total shares short and the average daily volume of shares traded. Buying premium is more attractive than selling premium. Copper futures appear ready to break out higher. Stock has been strong since November. Get back to basics with these indicators of an improving economy. Southern Copper (SCCO) stock rating was lifted to 'buy' from 'hold' at HSBC on Friday.